These pancakes may look and taste fancy, but it’s nothing of the sorts. (I may or may not have wanted to put on a fascinator or luxe derby hat while I ate these) 😉 It has minimal ingredients and so easy to throw together. And here’s how I did it. *to melt a banana: slice into pieces and microwave for :30sec. This will turn it into a more liquid state (great for mixing into recipes!). 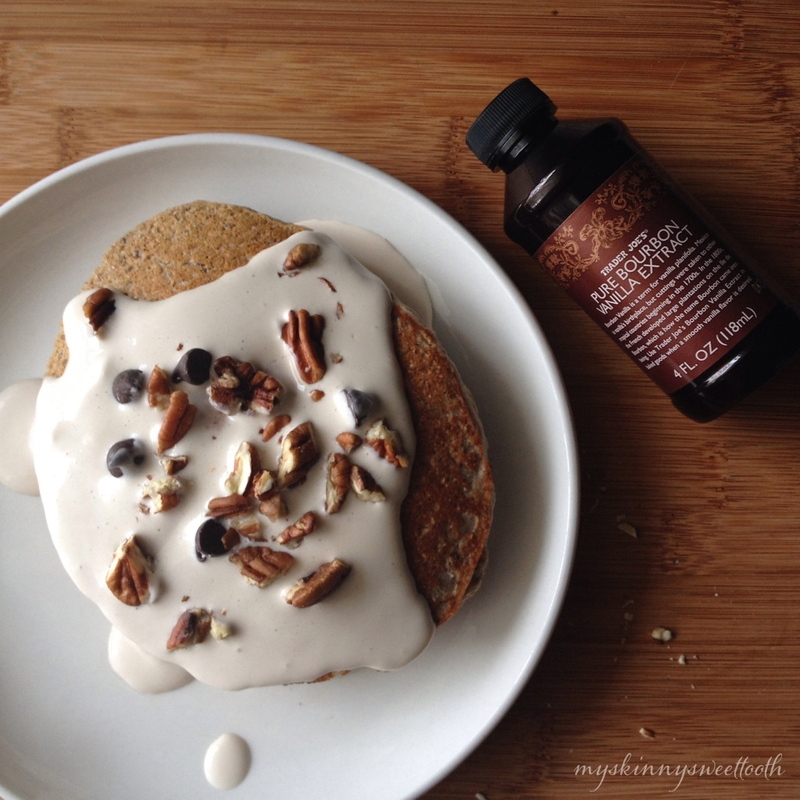 In a small bowl, combine pancake mix, banana, chia seeds, oats, extract, and milk. Then toss in all but a few chocolate chips (reserving some for topping). While the pancakes are doing their thing, stir together whipped cream, milk, extract, and syrup in a small bowl. It’ll have a nice syrupy consistency. Mmmm. 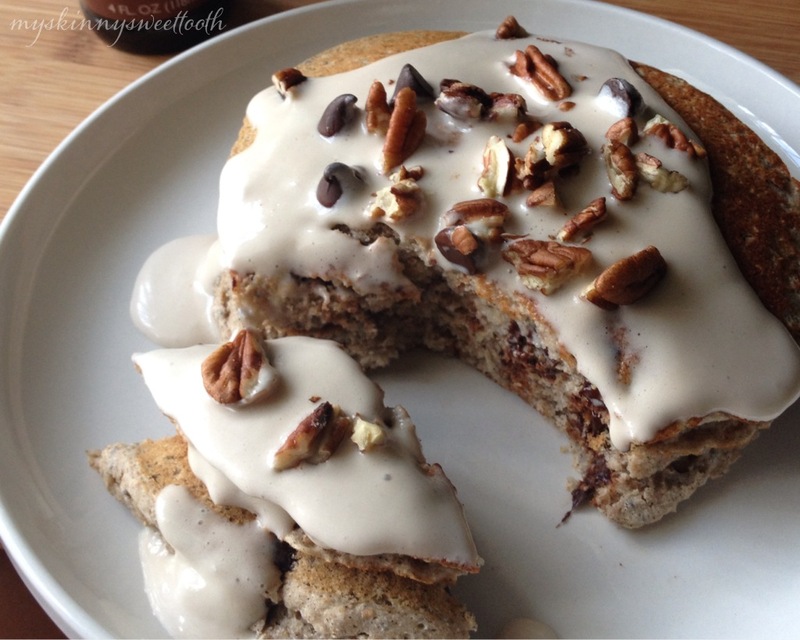 When the pancakes are done, top with bourbon vanilla cream, pecans and the last of the chocolate chips. 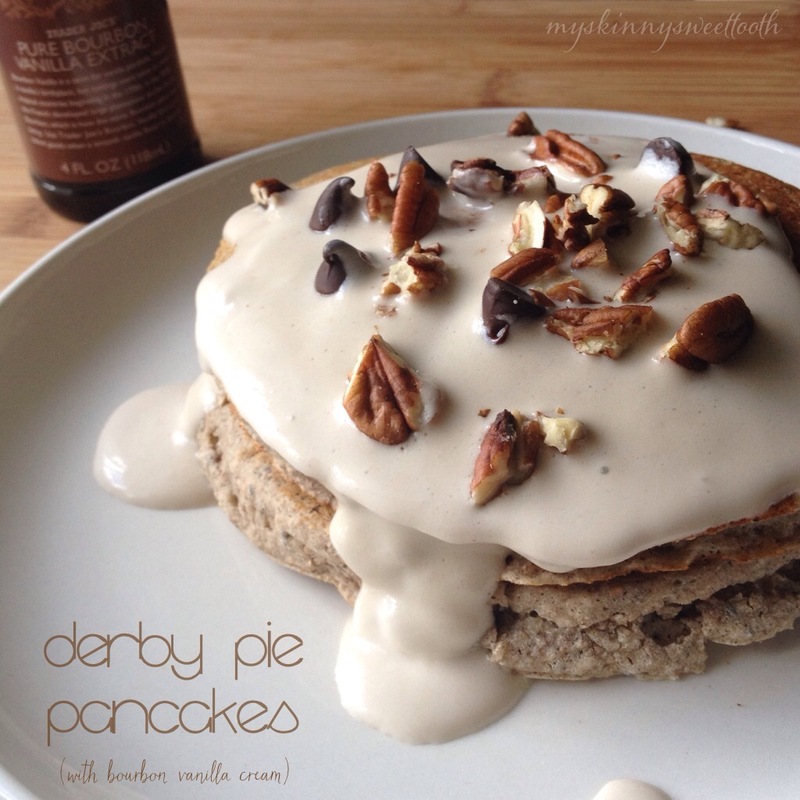 They’re so delicious and you get every aspect of what a derby pie should be: the chocolate. the bourbon. the pecans. Man, oh man. Enjoy!